Unlike the Arduino, the Raspberry Pi is not a micro-controller, but rather a small, bare-bones computer that needs an operating system in order to run. The most popular OS for the Raspberry Pi currently is a version of Linux, called Raspbian, specifically optimized for its hardware. 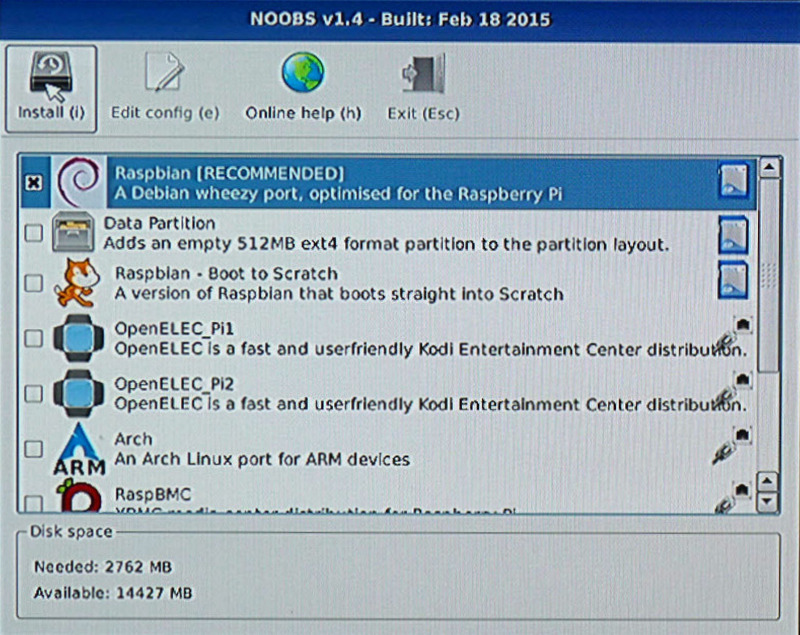 I plan to use Raspbian exclusively on my new Raspberry Pi 2 and this posts assumes you will be too. A computer with internet access to download the required software for the Raspberry Pi. An 8 gig (for some extra space, a 4 gig one should work too) Micro SD card. You also need a way to write to the card either by using the SD card slot in your laptop, or a USB SD/Micro SD Card Reader/Writer. A HDMI display (computer monitor, or TV) and an HDMI cable. A DVI display will work as well, if you have a HDMI to DVI cable/adapter. A USB keyboard and a USB mouse. Wireless ones will work most of the time, but if you run into problems, try the “old school” wired versions. After the initial set-up, you can configure remote access to your Raspberry Pi, from another computer and drop the peripherals and the extra monitor. 5 Volt micro USB power supply that can provide at least 1.2 A, with a 2.5 A recommended if you plan to use all 4 USB ports of the Pi. Here is more info on the Raspberry Pi power requirements. Internet connection via an Ethernet cable, or a WiFi adapter to update the software. One of my two WiFi adapters did not work with the Pi, so I recommend to use the Ethernet cable for the initial set-up. I will cover the WiFi configuration in a follow-up post. The Micro SD card for the Raspberry Pi 2 needs to be formatted using the FAT32 format. To do that you can use the SD Formatter program by SD Associates, available for Windows and for Mac. For Linux, the Raspbian.org start-up guide recommends GParted, a free application for managing disk partitions using a graphical interface. On my old Ubunto laptop, I had to install the package with “apt-get” and run it as administrator. Regardless of the tool you use, be very careful to select the correct drive / partition where your SD card is! A mistake here could potentially wipe-out your computer’s hard-drive! Once you open the respective program, follow the menus to delete the existing contents of the SD card and format it using FAT32. Once you have an empty micro SD card formatted correctly, you are ready to copy the Raspberry Pi OS on it. A word of caution: some SD cards work better than others with the Raspberry Pi. I had no problems with three different cards, and then 2 new 16 gig Adata cards both kept crashing the Raspberry Pi during boot up. Both work great in my camera, or with my USB SD card reader. Bottom line: if you get errors during install, or boot, try a different Micro SD card before wasting hours troubleshooting. 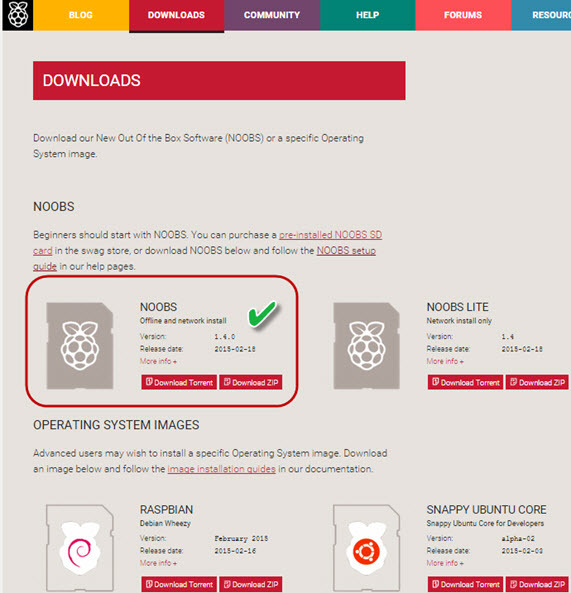 The easiest way to install Raspbian is through the NOOBS install manager (New Out Of the Box Software). 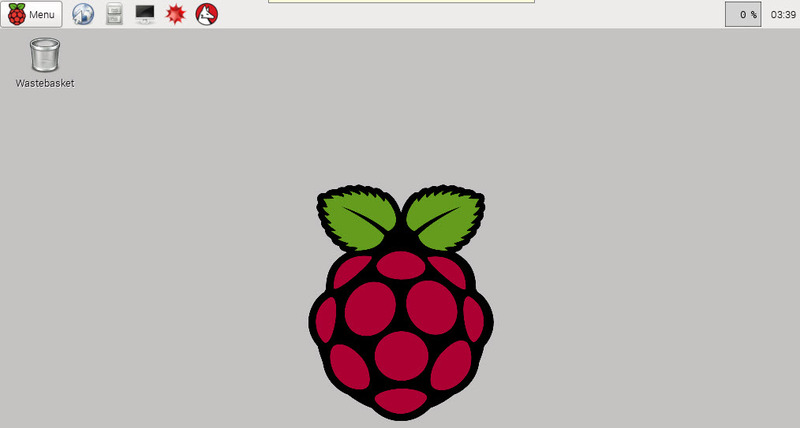 You can download the latest version from the Raspberrypi.org web-site. You may be prompted with several download options on that page. Choose the “full” version of NOOBS, it should be the top / first option. The NOOBS Lite version will require the Pi to download files from the internet, during the install process. I prefer to minimize complications during install, so I used the full version. The download links on the page will point to specific operating system images. You can use those images to install a certain operating system directly, without going through the NOOBS install manager. This process is for “advanced users” only. Once you download the (rather large) NOOBS zip file, you need to extract its contents and copy it to the empty and correctly formatted Micro SD card from the previous step. 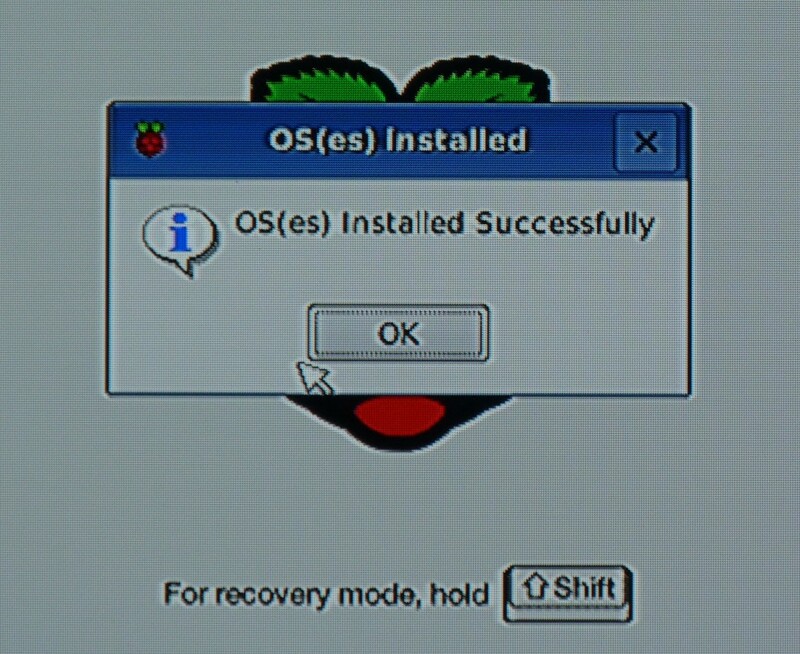 Using NOOBS you can install one or more operating systems on the Rasperry Pi. If you choose to load multiple operating systems, make sure you have enough space on the SD card. You will prompted to choose which operating system to use each time the Raspberry Pi boots. The Data Partition option adds a data partition that can be used to share data between the different OS systems (if you install more than one). This data *should* also be kept intact, if you need to use the option to recover a corrupted installation of your OS. I have never used this option, personally. At the very bottom of the screen (not shown in the image above) you can choose language and keyboard layout settings. The default is U.K. English, naturally. As we want to use Raspbian exclusively, select the top option only and click on Install (i). You will be presented with a warning that all existing data on the SD card will be erased. Confirm that you are OK with this, and the install process will begin. This will take a while, so grab a drink and get comfortable. Here you can change the default password for the “pi” user (raspberry) and configure many additional options like language and keyboard layouts, whether the Raspberry Pi boots to a terminal window, or in the graphical desktop environment, overclocking and so on. Here is a full description of the various menus and features you can configure. To navigate in the menu, you need to use the arrow and tab keys on your keyboard. You are done with the set-up and are ready to start exploring your pi! You can open a browser, play games, or start programming in Python, or Scratch from here. All these programs, and many others come pre-installed with Raspbian. Once all is done, it is a good idea to back up the SD card. Just copy all the files back to a folder on your PC and save it for later. it is always good to keep a clean OS image, in case you mess up something. Also, if you have multiple Raspberry Pis (yes, this is the official plural of Raspberry Pi, according to the Raspberry Pi Foundation) you can use the same OS image (same SD card even) for all of them. Saves you the time to go through the long install process each time. If you do not plan to keep a monitor, keyboard and mouse permanently attached to your Raspberry Pi, you can follow the next post in the Raspberry Pi series to configure remote access to both the Raspberry Pi terminal and graphical desktop with SSH and VNC, respectively.